Jin participated in 2015 Sino-US Chemical Engineering (SUCE) Conference in Shanghai, on Oct. 12-16, 2015. He was invited to give a keynote lecture titled “Molecular separation membranes derived from graphene oxide nanosheets”. Recently, graphene oxide (GO)-based membranes have been demonstrated to be effective for gas and liquid separation. 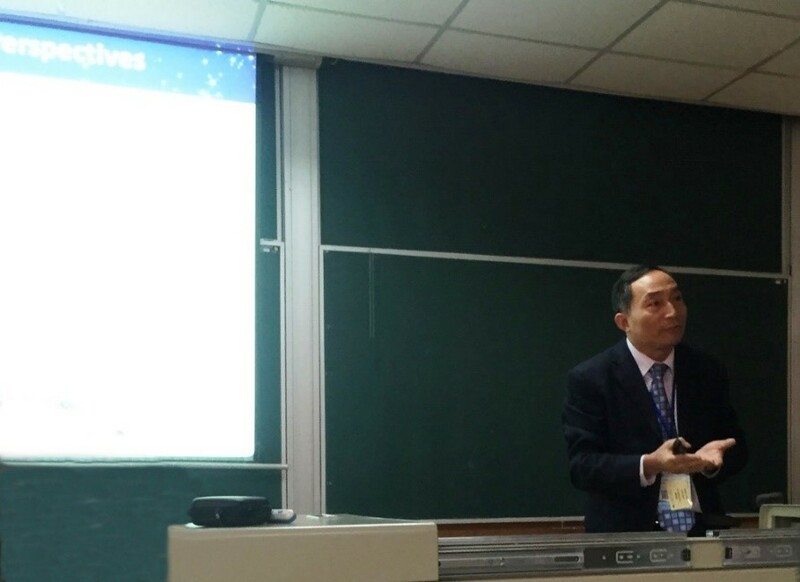 Prof. Jin introduced the frontier achievement in the preparation and application of graphene membrane, and our group work on the ceramic-supported graphene oxide membranes with fast and selective water channels for highly effective pervaporation dehydration of aqueous organic solution.